I recently shared a post about our walk along the Union canal but this was not actually the first time I'd visited it. 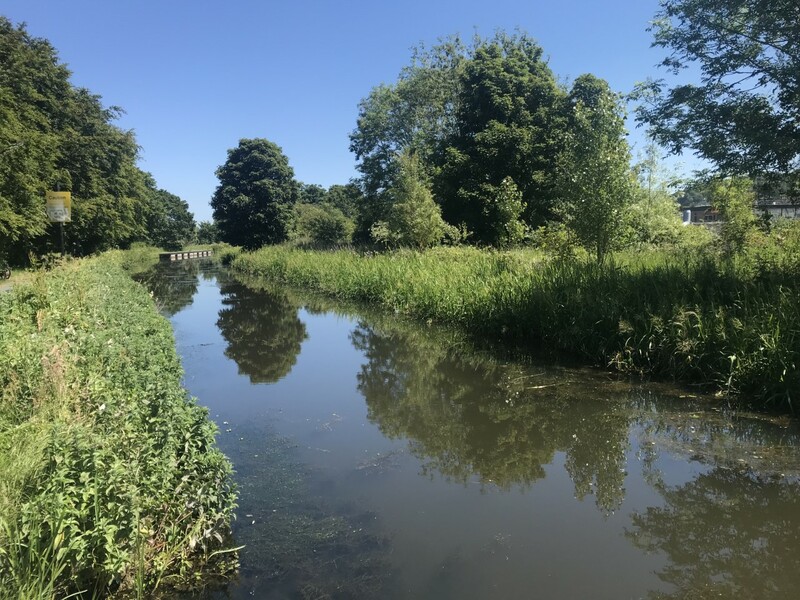 A while ago we followed a walk from Balerno on the outskirts of Edinburgh back to the city centre along another favourite route of ours, the Water of Leith and ended up skirting the Union canal as we approached the city and the end of our walk that day. This walk began as our Union canal one had, with a bus ride from the city centre, this time though to Balerno, the starting point of the 19km public walkway along the Water of Leith. Balerno began as a farming town but with the Water of Leith on its doorstep its importance grew with the many flax, snuff and paper mills that sprung up along its banks. The beginning of the walk takes you on a former railway line, the Balerno line, built by the Caledonian railway to serve the many mills along the Water of Leith, which ran through to Edinburgh city centre. If you weren't aware it is actually possible to walk right through to Leith from here and at various points you'll be following parts of former railway routes. One of the other walks I've shared here on the blog, on the stretch of the Water of Leith from Stockbridge to Leith, follows the railway line for much of its route too. If you look as you're walking it is very easy to spot the tunnels, bridges and other railway features that are still visible on these sections. With this walk also following the former railway line you pass through several suburbs of Edinburgh that were once, like Balerno distinct little villages, these include Currie and Colinton, all station stops on that old line. Many of these also developed and grew from small farming communities as a result of those same snuff and paper mills that were built along the Water of Leith. The opening of the railway also allowed for weekend visitors to easily leave Edinburgh and have the chance to enjoy the surrounding countryside, including the nearby Pentland hills. Continuing to follow this route lets you see some of the beautiful scenery which is characteristic of so much of the Water of Leith route as a whole taking you underneath pretty stone bridges, past peaceful woodland and, of course, near the ever present water. Eventually we reached the outskirts of the city centre and here was where we joined the Union canal. On the day of our walk though we decided not to walk all the way along that route and finished ours for the day at that stage but it's easy enough to continue on if you're feeling keen. Alternatively you can continue on along the Water of Leith towards Dean Village and Stockbridge, another walk that we've done numerous times. This walk and my previous ones along the Union canal, through Dean Village to Stockbridge and out towards Leith are all well worth doing either in sections as we did them or, if you want to, combined into longer ones. The Water of Leith is a real gem in the city making for a great escape from the city with some very accessible walks. Whilst Edinburgh may not have a huge river running through its heart like so many other cities do this meandering river has a charm and appeal all of its own that more than compensates. If you haven't explored and walked any of its route previously you definitely should do so.